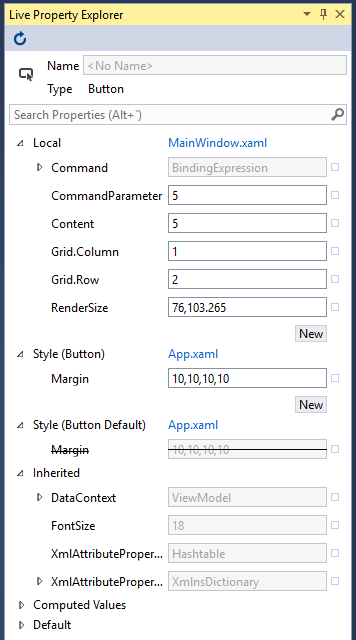 In my last review of the new Visual Studio 2015 XAML debugging tools (xaml-debugging-tools-vs-snoop) I found a lot to like but a few key shortcomings compared to what has been available in Snoop. Now that the Release Candidate of Visual Studio 2015 has been released the tools are farther along and closer to what their final state will be at RTM. So how are things progressing? Pretty well! Most of the key features I identified last time are the same but getting more polished overall. Most of the new changes are in the Live Property Explorer.